Storey Publishing, LLC, 9781612120072, 560pp. 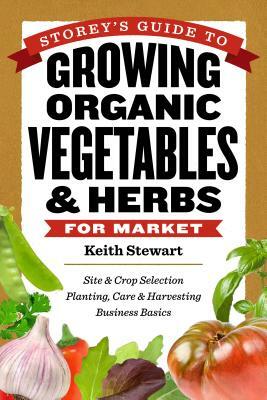 Keith Stewart covers everything you need to know to successfully grow and market your own organic vegetables and herbs. Offering expert tips on choosing a growing site, soil fertility, companion planting, irrigation, organic farming techniques, dealing with pests, and harvesting, Stewart also helps you design a business plan, manage employees, and find niche markets for your produce. "This book could be a template for any new and beginner farmer education curriculum. I fully expect to see dog-eared copies of this book on the dashboards of pickup trucks and farm-house kitchen tables all across the region."